With the explosive growth in social media, B2B marketers can be 100 per cent certain that somebody, somewhere is talking to your customers and prospects about your brand and what you sell. 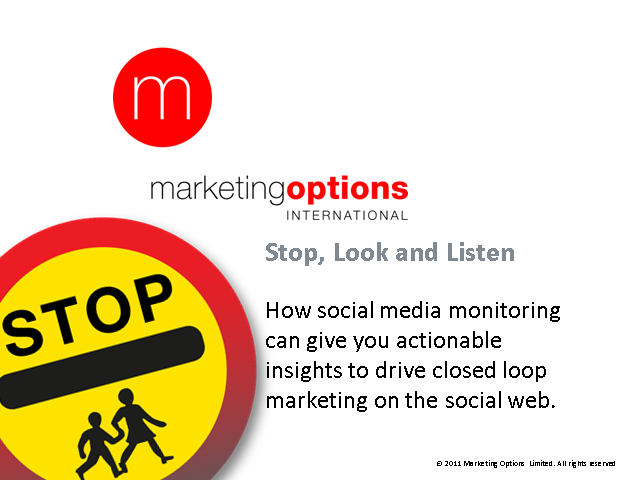 This webcast will show you how social media monitoring can give you actionable insights to drive closed loop marketing on the social web. · Find conversations that matter to your business, across the blogosphere and social networks. · Use the insight to target communications more effectively. · Target your audience and key influencers within social networks. · Prove to C-Level colleagues the impact that social media has in the marketplace.